As the terminus of the Belt and Road, South America is a key part of the mainland's ambitious scheme. Many countries in the region have vast infrastructure projects underway, but how many of these are in line with China's grand plan? Widening the Panama Canal: Too little, too late? South America represents the end point of the Belt and Road Initiative (BRI), the furthest reach of the mainland's ambitious plan to streamline trade routes and facilitate access to markets across the world. Given the huge infrastructure spend envisaged as part of the scheme, there are already a considerable number of logistics-led schemes envisaged or already underway in Central and South America that have considerable synergy with the needs and recommendations outlined in the BRI proposal. The last five years have seen several new projects announced that will slash the time taken to move goods across South and Central America by rail, road, and canal. One of the most ambitious is a freight railway linking the Brazilian Atlantic coast to a port in northern Peru on the Pacific. One driving factor behind the project is the need to streamline the transport of soy products from Brazil to China. A rail link, followed by shipping from Peru, could prove 30% cheaper than using the existing Panama Canal route. Trade between China and Brazil soared to US$83.3 billion last year, rising from $3.2 billion in 2002, with iron ore, soy and oil the bulk of Brazilian exports. The majority of soy is grown in the state of Mato Grosso in the west of Brazil, as close to the Pacific coastal ports of Peru as it is to the Atlantic. The beans, though, are currently transported east by road, before being shipped. According to the Soy Transportation Coalition, overall shipping costs can be 50% higher for Brazilian farmers than for those in the USA. The extra cost is down to the expense of trucking to the Atlantic ports. The solution – a rail link from Brazil through Peru to Pacific ports – was first conceived in meetings between the Chinese, Peruvian and Brazilian governments in 2014. In July 2014, the three governments agreed to conduct basic studies, with a working group established in November. Officials met again in May 2015 and committed to produce a final report by March 2016. The railway is expected to take at least six years to complete. China buys 30 million tonnes of soy from the USA at harvest time in the Northern hemisphere – September through November – and a similar quantity from Brazil in February to May. All the Brazilian soy is currently transported via the Panama Canal. According to US Department of Agriculture data, soy shipments to China represent 60% of Brazil's exports, with the country supplying 35 million tonnes annually. Improved transport in Brazil could reduce costs by $50 a metric tonne – 13% of the average August price for soy – which equates to savings of more than $1 billion annually. This projected annual saving sets a context for the estimated $10-20 billion construction cost. 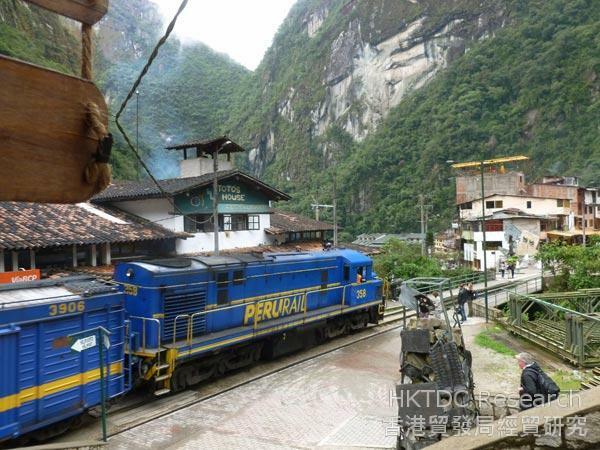 The train will be the third axis of integration between Brazil and Peru. Road links on the eastern side of the Andes have historically been poor, characterised by slow, roads, often damaged by floods and landslides. Over the past decade, two major highways have also been constructed to link the Western Amazon to the Pacific coastal ports. Construction on the Interoceanico Sur highway began in 2006, with the official opening taking place in 2011. The highway links the southern Peruvian ports of Matarani and Ilo with Madre de Dios in the Amazon, and then connects to the Brazilian road network in Acre. Interoceanico Norte links the northern port of Paita with Yurimaguas, from where river transport can travel to Iquitos and on to the Atlantic. The road is completed, although the waterways have yet to be modernised. These road projects will open up areas of the Amazon previously isolated from trade. This will facilitate the export of products through the Peruvian ports and towards Asia, as well as improving the trade links from Peru across South America to Brazil, the regional powerhouse. 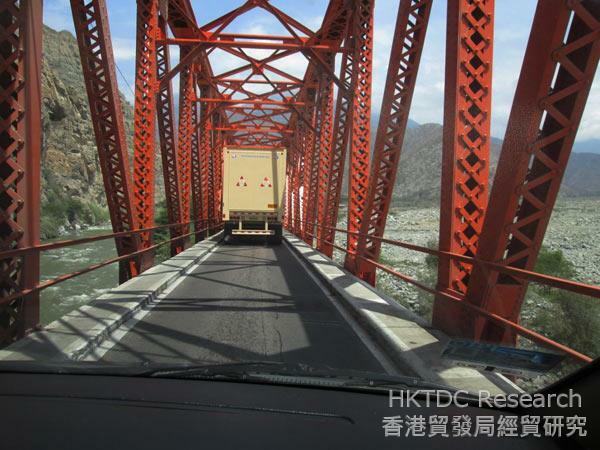 The roads are technically difficult solutions to the current inefficient trading routes. For many, a railway crossing the continent of South America at its widest point has not seemed the simplest solution to the bottleneck of traffic at the Panama Canal. In Central America, several more projects are at various stages of development. Guatemala, Honduras, Nicaragua, Costa Rica and Colombia all have coastlines on both the Atlantic and Pacific, separated by between 150 and 400 km. While Panama is widening its canal to take bigger ships, four other countries have plans to improve links between the oceans both by road and by rail. A scheme to build a canal through Nicaragua, linking the Atlantic to the Pacific was approved by a Nicaragua government committee in July 2014. At around 270 km, it would be more than three times as long as the Panama Canal. The project has been conceived and funded by the Hong Kong Nicaragua Canal Development Investment Company Ltd (HKND Group). The rationale behind the project highlights the increasing size of transport ships, with many bulk carriers already too big to pass through the Panama Canal. The project has attracted a certain level of opposition, largely because of the environmental disturbance from large ocean going ships passing through the freshwater Lake Nicaragua. On November 5 this year, however, the Government of Nicaragua issued an Environmental Permit. Subsequently, HKND announced it would start construction work this year, with bulk excavation commencing by the end of 2016. The project is now scheduled to be completed before 2022. 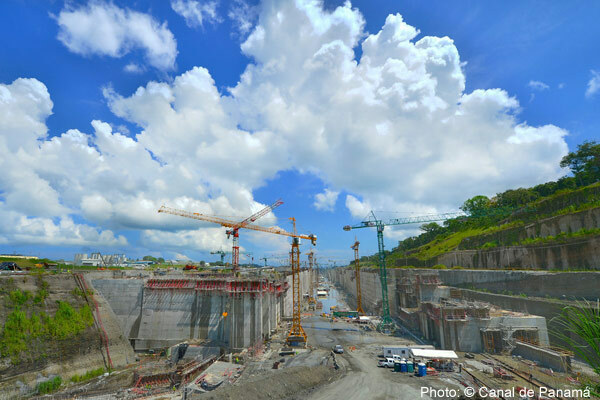 A $5.2 billion expansion of the Panama Canal in order to facilitate the passage of larger vessels began in September 2007 and was said to be 93% complete as of August 2015. HKND contends that this is already out of date and that 17% of the container fleet will soon be too large to pass through even the expanded Panama Canal. In Guatemala, a scheme to link the two oceans for freight has been under discussion for 15 years. The proposed International Corridor will be 372 km long and 140 m wide. It will include a four-lane highway, a two way freight rail line, and four oil and gas pipelines. Two deep water ports will also be constructed on the Atlantic and Pacific coasts. Each will have the capacity to accommodate the mega-ships that cannot pass through the Panama Canal, even after its expansion. For more than a decade this has been a project in search of support and funding. During that time, the organisers have been talking to land-owners and municipal authorities along the route and has taken pains to address the social issues that inevitably accompany such a project. With this in mind, it has ensured that 12% of the income generated will be distributed to local authorities along the corridor. In July 2013, the Guatemalan government announced its support for the project and funding was provided to purchase the land. The project is predicted to be completed by 2020. In Honduras, a transoceanic railway was first mooted in the nineteenth century. More recently, a 2011 feasibility study was followed by a June 2013 announcement by the Honduran government that it was to sign an agreement with a Chinese company for the construction of an interoceanic railway linking the Pacific coast island of Amapala with the Atlantic coast port Castilla, a route of about 375 km. The $20 billion project includes the construction of two ports, a refinery and an oil pipeline. The interoceanic railway was not included in the National Plan of new President Juan Orlando Hernández upon his election in November 2013. The President, however, has promoted the rapid development of a Logistics Corridor linking the two oceans. He was recently quoted as saying the construction of the four-lane highway linking the coasts was "the most important project in the country". The road is due to be completed by April 2017. Though there has been no recent news on the rail project, it may still come to pass. On November 2 this year, the President announced that he would be taking representatives from Taiwan on a tour of ports on the Atlantic and Pacific coasts. This was with a view to developing "a Logistics Center for the Americas to complement the interoceanic railway project between the Port of Amapala and Puerto Castilla." Plans to enlist Chinese engineering companies to help Colombia construct a train line connecting the Atlantic and Pacific coasts were announced by President Juan Manuel Santos in 2011. The proposed 220 km rail route would bypass the Panama Canal, but would pass through environmentally sensitive territory and lacks existing port connections. According to El Pais, the Colombian national daily, the project is part of a larger proposal to build a 791 km railway network linking the interior of the country to an expanded port of Buenaventura, on the Pacific. It would allow up to 40 million tonnes of coal a year to be carried for export to China. There could be half a dozen more trade and cargo routes from the Atlantic to the Pacific within ten years if all these projects are completed. One hundred years after the opening of the Panama Canal, world trade will be looking at a competitive market in bi-oceanic transport. That is sure to mean lower costs and shorter transit times for cargo. 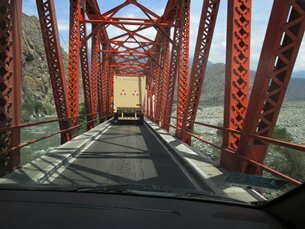 Will mainland infrastructure investment transform the South American trade routes? Just how many of these schemes will come to fruition is, of course, debatable. What is more definite, however, is that many of them are in direct compliance with the avowed Belt and Road objectives, with high level discussions between the Chinese and the relevant national authorities almost certainly already underway. As in Africa and the emerging economies of Eastern Europe, the question is which of these favoured national projects will best be able to piggyback on the vast Belt and Road budget.